Before you’ve even climbed inside a Fulvia Zagato, you can sense the alternative slant to this spirited Italian classic. From the angular chrome surrounding the front headlights to the curved bonnet that leads up to an air intake, to the rear hatch that can unusually be left open whilst driving. Commissioned by Lancia to Zagato to serve as a sportier version of the Lancia Fulvia coupe, the Zagato model is built on the former’s strong performance credentials, following a win of the FIA International Championship with a Fulvia in 1972. If you’re looking for advanced technical specification in a classic but equally have a voracious appetite for motoring with personality, this 1969 Fulvia Zagato 1.3 could likely prove your perfect match. 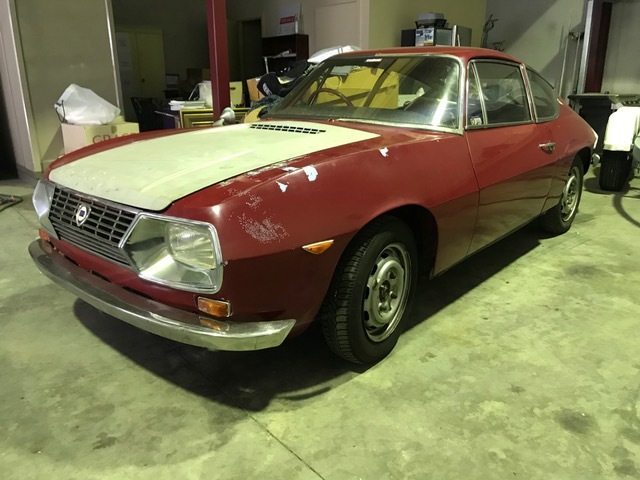 This Lancia is reasonably priced for a coach-built vehicle that offers performance a cut above the competition in a package that also boasts the best of Italian character.